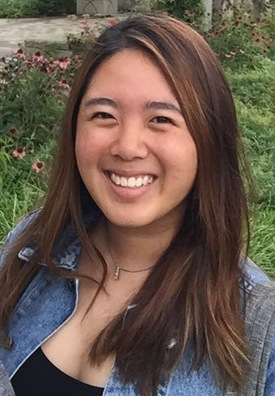 Nicole Lee is a Greater China Scholar and part of the class of 2022. From Malaysia, Lee grew up in Kuala Lumpur, Shanghai and Hong Kong, and intends on becoming a writer or journalist, using her platform to raise awareness on key issues around the globe to effect change. During her time at the University of Notre Dame, she plans on contributing stories to Notre Dame International, giving students around the world inspiring insight into the life of an international student. It began with an idea. From healthcare to technology; finance, social media and many more, the University of Notre Dame’s aptly-named Innovation Park and IDEA Center is in no way short of ideas and innovation. The same can be said about Notre Dame’s Greater China Scholars Program (GCSP), which again, began with an idea. 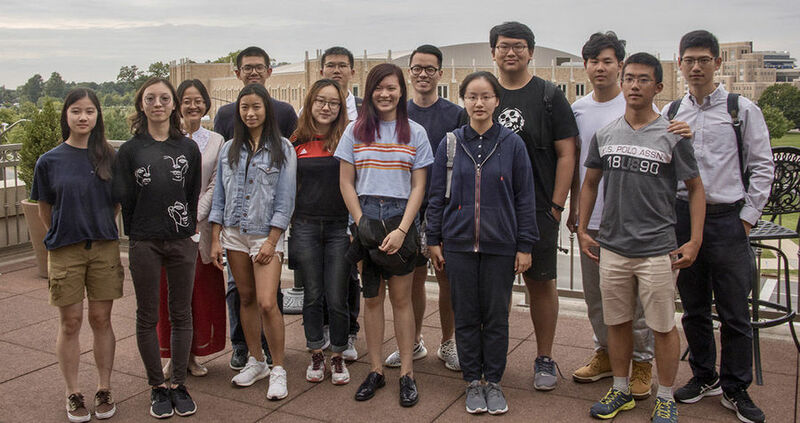 Launched in 2011, GCSP is the University’s largest scholarship program for undergraduate students to attend Notre Dame; founded on the idea of encouraging exceptional students from the Greater China Region, China, Hong Kong, Macau and Taiwan. The program aims to promote global leadership and service, and the scholars represent the top 3% of all applicants from the Greater China Region. To date, the GCSP has enriched nearly seventy scholars, with that number set to increase to eighty after welcoming its latest group of eleven scholars, the class of 2022. The IDEA Center Innovation Park proved to be an exciting setting in which to welcome the freshman, with all scholars, upperclassmen and freshman alike, getting a tour of the modern facilities and invited to a pizza party meet-and-greet with current master’s students and faculty of the Idea Center on August 24th, 2018. 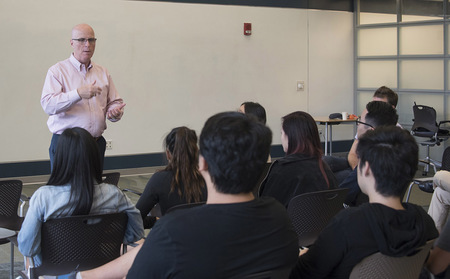 Additionally, the scholars had the opportunity to reconnect with Brian Ritchie, the vice president and associate provost for innovation, whom they had met earlier this year in March, during the Greater China Scholars selection weekend. They were once again treated to his inspiring yet candid words of advice. “I’ve learned the most from the failure, and I’ve had some pretty spectacular failures,” he told the group. Six months ago, on a snowy night in Beijing, Ritchie spoke to the prospective scholars about the controversial topic of failure, how it was an unavoidable part of life and necessary for learning. He said to make the mistake and learn from it; to use it as a stepping stone to help push you one step closer to your goals. Six months later, 6,620 miles away, on a bright and sunny day on the campus of Notre Dame, he reiterated this message, emphasizing the importance and inevitability of failure in the journey to success.“Fail forward,” Ritchie told them. “I don’t believe for a second that someone is going to come over here and swing one time and hit a home run,” he said. “To impact and to fix things that matter,” Ritchie said. Short and sweet, these eight words attracted Yilong Yang, a GCSP alumni, who postponed his Ph.D. to attend the ESTEEM Graduate Program; a year-long experiential master’s program in entrepreneurship, innovation and technology. As a physics major with intensive research experience, Yang spoke at the event, welcoming the incoming class to Notre Dame and sharing his journey thus far. “A piece of my heart was always wondering about the application of my research,” he said. Three further ESTEEM students were also invited to give their thesis presentations and business pitches to the attending scholars. This included projects on oral pharmaceuticals to relieve mild allergies, and a probiotic-infused pacifier. After the talks, all students were given the opportunity to meet and connect with the GCSP family, ESTEEM students, and faculty. It was a lovely evening filled with engaging conversations and big ideas – a refreshing start for the Class of 2022. Learn more about the Greater China Scholars Program through Notre Dame International. Originally published by Nicole Lee at international.nd.edu on September 28, 2018.